Lavender-infused Chocolate Croissant For Breakfast, anyone? 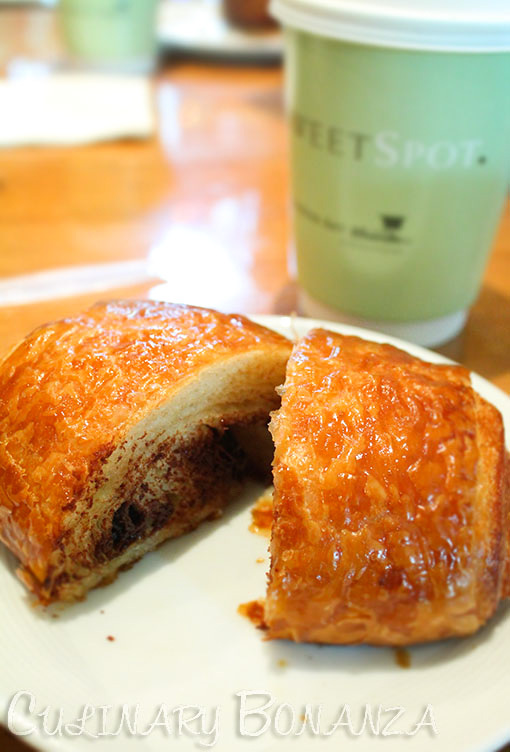 This is supposed to be a secret (between you and me) but I'm telling you, the Chocolate Croissant from SweetSpot is actually infused with lavender essence, natural, of course! 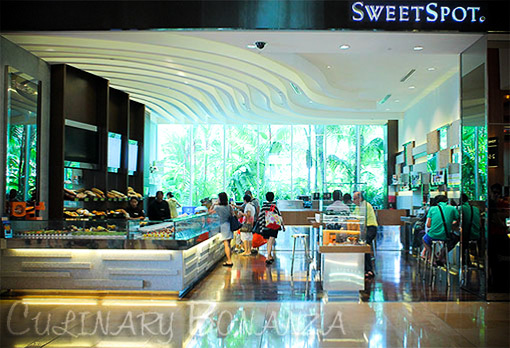 SweetSpot at Marina Bay Sands is not a cafe nor a full-fledged bakery or pâtisserie. 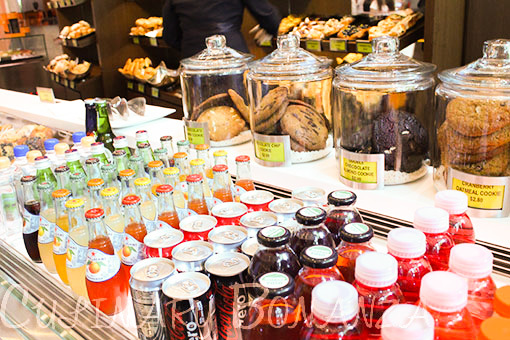 In a way, it is a meeting point, but furnished with a few tables, counters and stools and a tad too much calories and caffeine to tempt you while the clock ticks by. And it is not entirely self-service, except for the pre-packaged sweet souvenirs on the display racks at the right side. 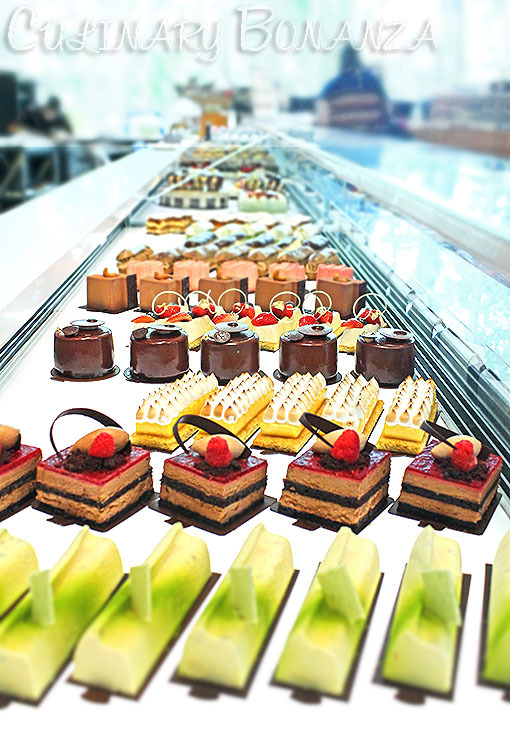 This concept is managed by Ryan Witcher, Executive Pastry Chef at Marina Bay Sands and the way he describes SweetSpot, "This place fills up quickly and then empties quickly and regularly". 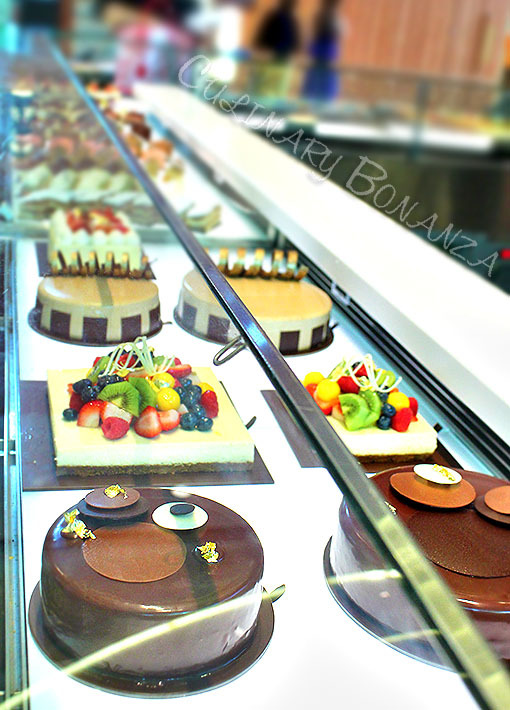 Just like waves, guests hardly linger long here because this is not meant to be a cafe with plush sofas and magazines. People walk-in, make a purchase, finish their food and leave.